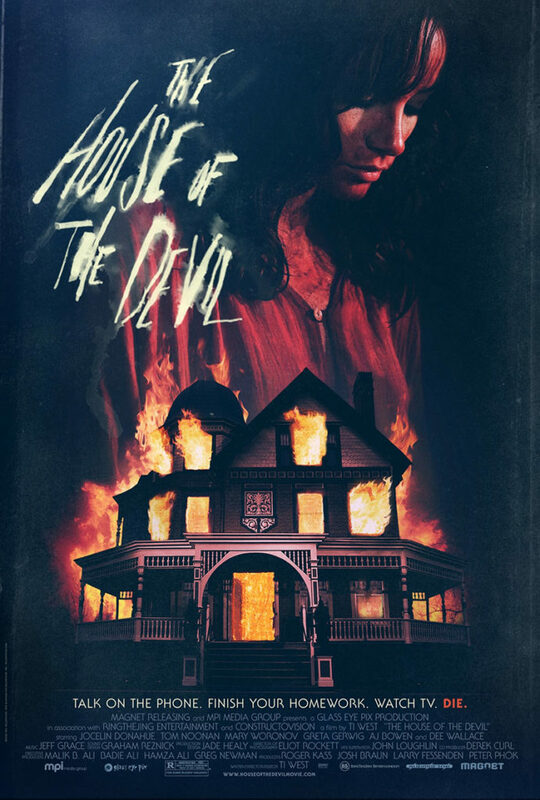 The House of the Devil is a neat little lo-fi film from writer/director Ti West. An homage to low-budget horror from the 1970s and 80s, The House of the Devil is a faithful recreation of styles and techniques from that era. The film takes place in the early 80s, and West does a great job taking the viewer back. But the film is not about the 80s. That’s a distinction worth pointing out. It means the film doesn’t crash the viewer with reminders of the time around every corner, nor does it rely on nostalgia. It just is. The very low budget meant that West didn’t have absolute control over the dressing of locations, inadvertently creating a fun game of spot the anachronism. It doesn’t necessarily distract from the film, but I did find myself hunting for objects that had no business being in the 1980s.